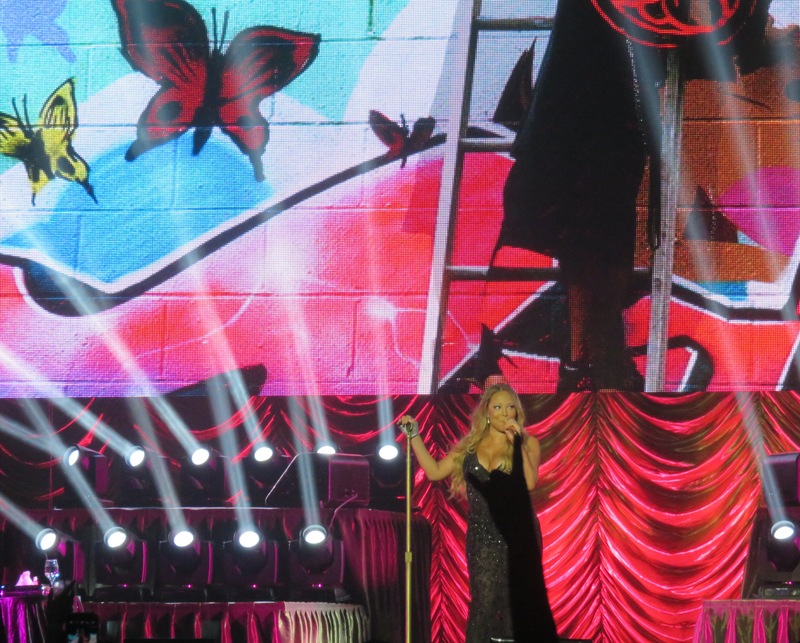 Concert Review: Which is it Mariah Carey – Sequins or Graffiti? 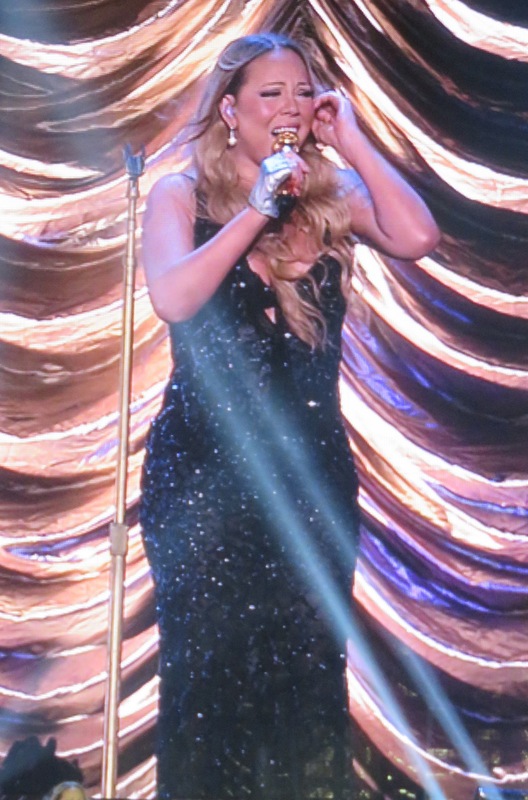 Mariah Carey, 14 November 2014, Vector Arena, Auckland. Mariah Mark II clings shyly to her mother’s leg. She’s nervous, blushing but giving it all she’s got. I suspect there are choreographed dance moves. 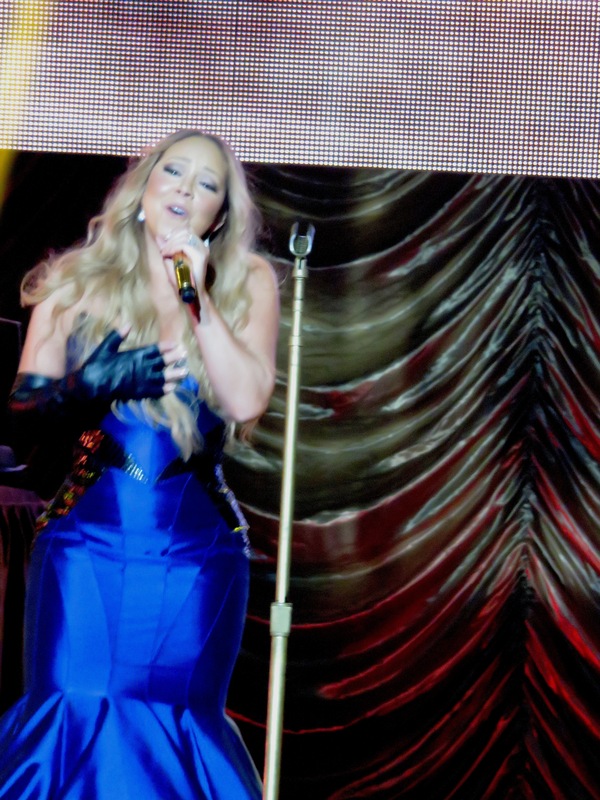 Hearing two Mariahs sing for the price of one was pretty good value for money, I reckon. 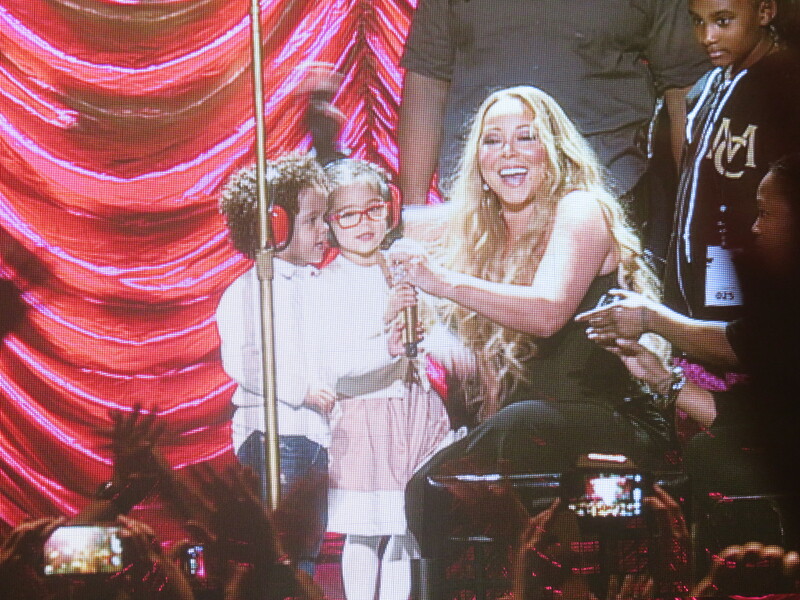 7-year-old Mariah exceeded all expectations; Mariah Mark I was everything you’d expect but not, I’m afraid, more. 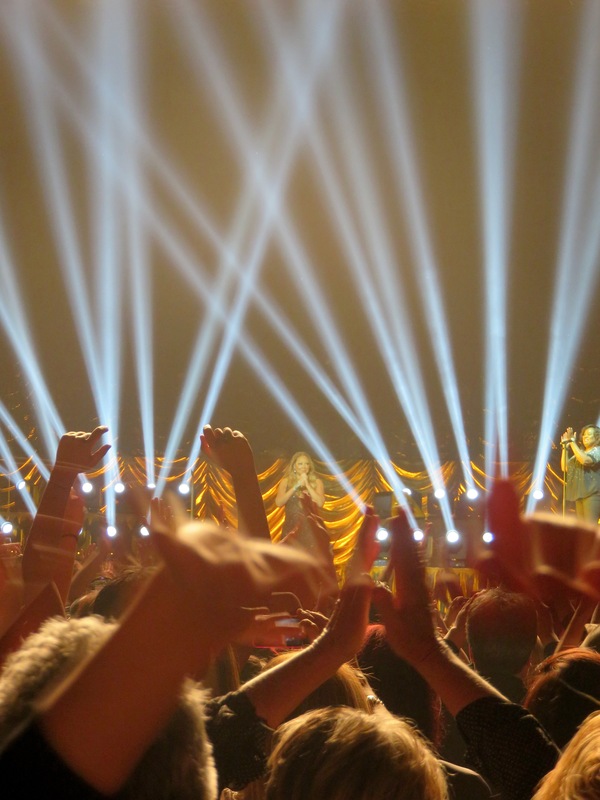 Carey was up against it, having not quite sold out the venue, and having received bad reviews for other The Elusive Chanteuse shows. But in Auckland she really sang her heart out and had the crowed on their feet from the opening notes of Sweet Fantasy to the closing bars of We Belong Together. She hit some incredible trademark high notes and those dresses – wow – the four dresses were pure cling-film, sparkling, stunning (gravity defying) diva. Carey’s back-up singers and dancers were fantastic, and lead back up singer and MC Trey Lorenz played a big part in the show, covering the extended time it took for Mariah to change outfits with (rehearsed) repartee. Carey was gracious to her Kiwi audience, even taking time to try and understand the difference between Vegemite and Marmite and trying out her Kiwi accent. She shared stunning black and white footage of her twins dancing, and when they appeared on stage in person you could hear the collective sigh – “awww” from all the mamas in the audience (me included). But what struck me right from the first song – where her sparkly ball dress conflicted with the graffiti backdrop – was the diversity of her fan base and the tension between her two worlds – her original Music Box diva world, and her R & B gold-toothed-gangster-on-the-video world. It seemed as if she was trying to be everything to everyone, throwing in a couple of medleys to cover off the back catalogue. I am not a fan of medleys and would rather have seen more singular moments representing albums. The result was, as my concert-buddy Kim said, “a Mariah buffet”. I prefer my divas a little more á la carte. There was a lot of retrospective video footage. It was fun to see a younger Carey taking the mickey out of herself in the Heartbreaker video (where she beats up another version of herself in the bathrooms) but the result was a sad sense of her looking backwards, as if trying to figure out exactly who she is. Mariah has proven she is current with hits like Beautiful; but perhaps it’s time for her to turn and face the future, stand her ground and decide exactly who she wants to be.